Nowadays, the internet is a great resource when it comes to providing advice and tips on fixing anything from cars, to washing machines, heating systems or in the as the case may be, motorcycles. One has to be grateful to all those individuals who provide instructions and tips free of charge and save you a trip to a mechanic and a lot of money too. If you have run into trouble with your motorbike, here are some of the sites that will help you. 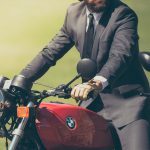 This is a funny little website and a great introduction into motorcycle repair and maintenance and will teach you all the basics you need. It will tell you absolutely everything there is to know the only drawback is that there are no videos on this site which is a shame as the site is highly informative but most people learn better from videos. This site provides top repair instructions and links to other sites for specific repair tips on more complex issues. Again, there are no videos, but the site provides such detailed information that those with prior knowledge will be able to easily follow the instructions and solve the problem. Youtube is fantastic when it comes to learning how to fix just about anything, including your motorbike. You can be sure that someone has uploaded a video on how to fix the problem you have encountered and usually there are several videos from a variety of repair enthusiasts showing you exactly how to solve the problem you have encountered. The key is to define the problem precisely and type the correct definition into the Youtube search box and in a few moments, you will have access to several repair instruction videos. Selecting a video is also easy as the number of views will be an indication of the quality of the video. The most prolific Youtube mechanics have created motorcycle repair designated channels and regularly upload tips and repair instructions. There is an enormous advantage in not only viewing how something is fixed, but also in the instructor guiding you through the entire process. Additionally, you can watch the best repair instruction videos over and over again until you are confident enough to tackle the problem yourself. Obviously, with safety in mind, work completed should always be checked by a qualified mechanic. Nevertheless, you will have saved yourself a lot of time and money by fixing the problem yourself. With all appliances, cars and motorbikes included, it is an enormous advantage if you learn the mechanics of the equipment in question, how the various parts work and how to identify possible problems. The days of dodgy mechanics overcharging you are truly over because, thanks to the internet, you are now a well informed and instructed customer that cannot be fooled.You are now in a position to diagnose problems, fix them and just have a safety check before you take to the road again.